Thinking about going vegan recently? 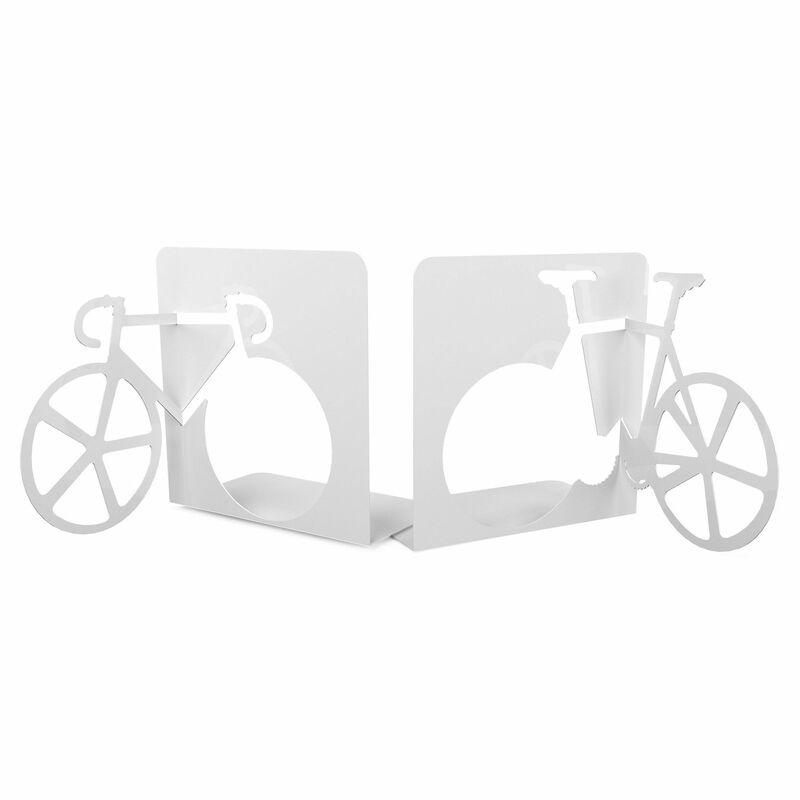 Or maybe you are a real cycling enthusiast? 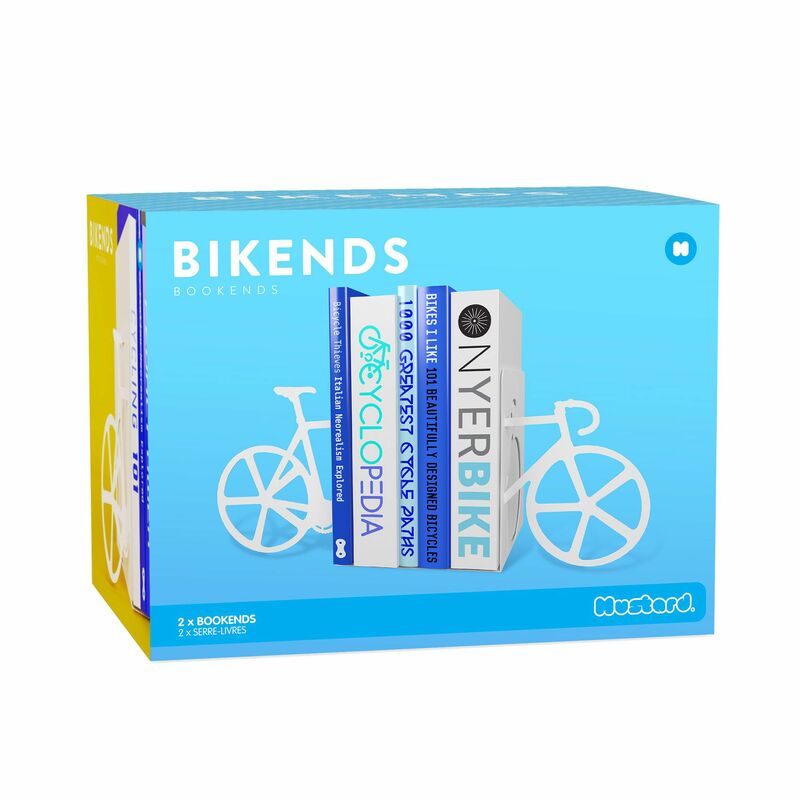 No matter which option is closer to your heart, the Mustard Bikends Bookends provide an excellent way of organising your old bookshelf with style and chic. 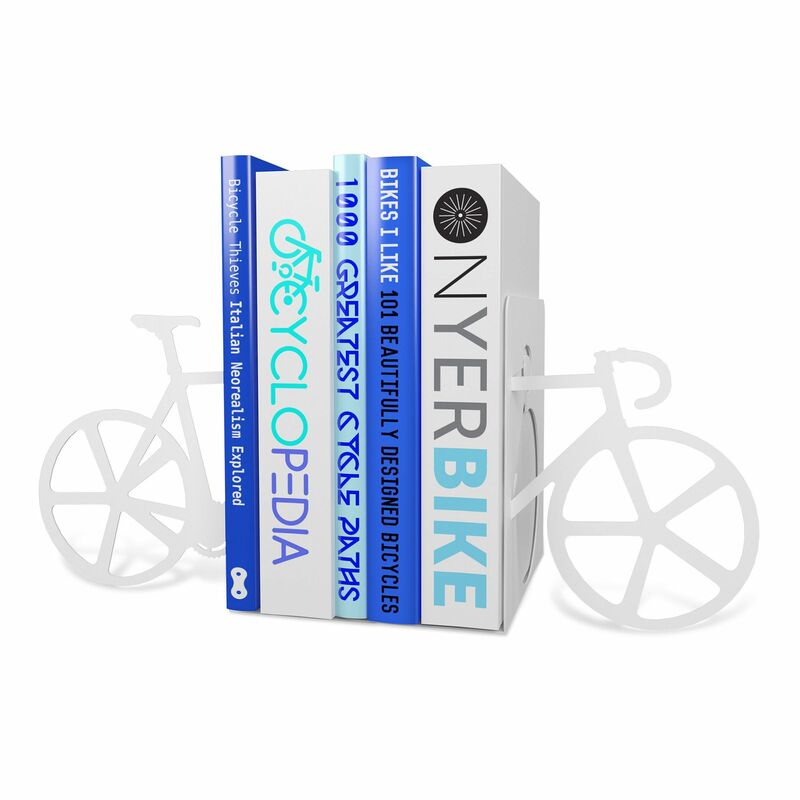 With a fun design like that, the bookends serve as a great gift possibility for a cyclist or a clumsy friend who’s flooding his apartment with books without thinking about it. The bookends are made from steel, promising high durability and fancy white metallic finishing. for submitting product review about Mustard Bikends Bookends.